Chromag Bikes is recalling about 100 Chromag bicycle stems. The firm has received three reports of the clamping bolts breaking. No injuries have been reported. This recall involves Chromag bicycle stems used to clamp the fork steerer and/or handlebars. The recalled stems include models BZA, Director, HiFi and Ranger. Only stems with a “Z” marked inside the bolt head are included in this recall. 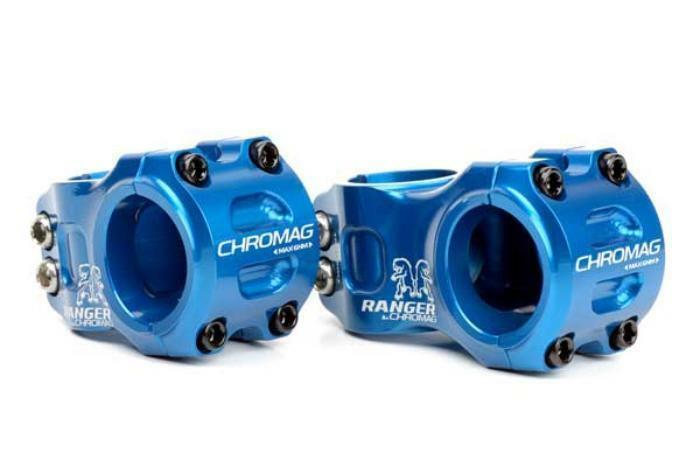 “Chromag” and the model name are printed on the stems. The stems were sold separately from bicycles. Bolts used in the stems are 6 mm in diameter and 20 mm in length. The stems were sold in various colors including black, red, blue, gold, purple and silver. The stems, manufactured in Taiwan and Canada, were sold at Arts Cyclery, Beatchwood Cycles, Beat Cycles, Breadwinner Cycles, Blazin Saddles, Harpers, Quality Bicycle Products, The Bike Hub and Squatch Cycles nationwide or online at www.chromagbikes.com from November 2016, through March 2017, for about $120 for the stem. Consumers should immediately stop using bicycles with the recalled stems and contact Chromag for free replacement bolts for the stem. Consumers may contact Chromag Bikes at 800-380-4102 from 9 a.m. to 5 p.m. (PT) Monday through Thursday, by email at info@chromagbikes.com or online at www.chromagbikes.com and click on Stem Bolt Recall at the top of the page for more information.